Everthing was just perfect, it´s as beautiful as you can see on the pictures. Thanks again, it was such a nice place to make holidays!!!! Beautiful accommodations, awesom terrace. Perfect and helpful staff. Always perfectly clean. Everything was beautiful. Location decore and the owners made our trip on of the best vacations we have ever had. Seaview, very friendly host. No words to describe. Awesome ! Beautiful place with a magnificent view. The studio was very clean and fully equipped. We had a wonderful stay and would definitely rent it again next time! Was great to be picked up at the airport when I arrived. Vronie gave a little tour on the way to the apartments to get me oriented on the island. She also explained all the facilities at the apartment and made sure I was settled. Helped me arrange to rent a car and set up diving. Checked in with me during my stay to see if I needed anything. Also had breakfast in the apartment for my first morning. Such a nice way to start my vacation. Alles. De gastvrijheid en betrokkenheid. Het meedenken. De bedden slapen heerlijk, boodschappen waren gedaan, niets was te gek. Heerlijke inloop douche . Geweldig balkon met uitzicht op zee. Prachtige zonsondergang elke dag. De hosts zijn altijd bereikbaar. Echt perfect voor Een ontspannen vakantie. Heel mooi en fijn appartement, geweldige locatie en spontane, gastvrije eigenaren, het was top! Het appartement is prachtig qua ligging, inrichting en comfort. De eigenaren zijn zeer gastvrij, geven goede tips over de omgeving en houden het appartement kraakhelder. We mochten gebruik maken van bbq die op ons terras werd gezet. Toplocatie waar we terugkomen! 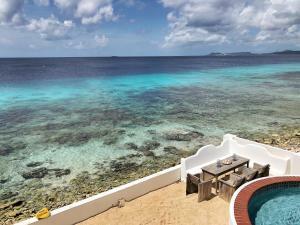 Lock in a great price for One Ocean Boutique Apartments & Suites Bonaire - rated 9.8 by recent guests. One of our top picks in Kralendijk – and a guest favourite. One Ocean Boutique Apartments & Suites Bonaire features ocean front accommodation with modern interior, a beach garden with a plunge pool with easy access to the Caribbean Sea and ocean views from all terraces. 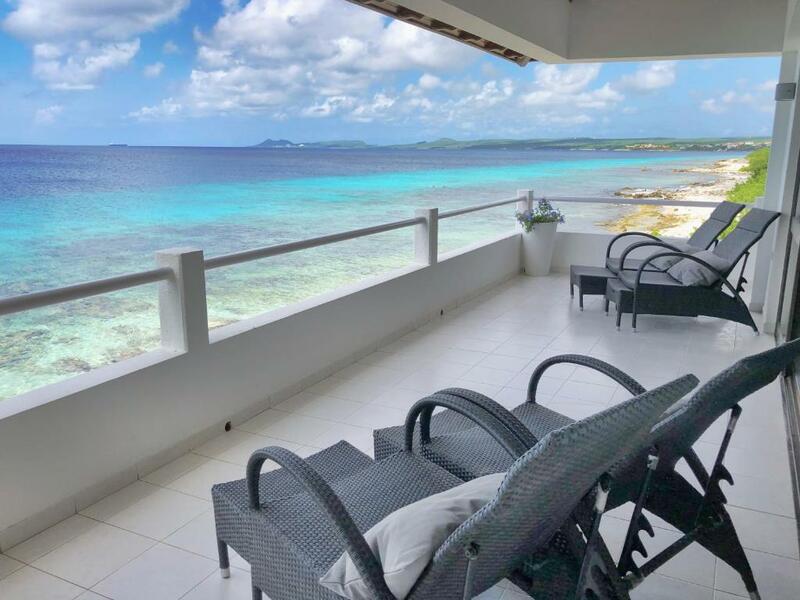 The accommodation is situated just a few minutes from island activities like dive centers and schools, beach clubs, restaurants, supermarkets and Bonaire's town center. All Suites and our King Room have a pantry with a Nespresso coffee machine, water cooker and a table size refrigerator. The bedrooms have a Smart flat screen TV and a private bathroom with walk-in shower and/or bath. 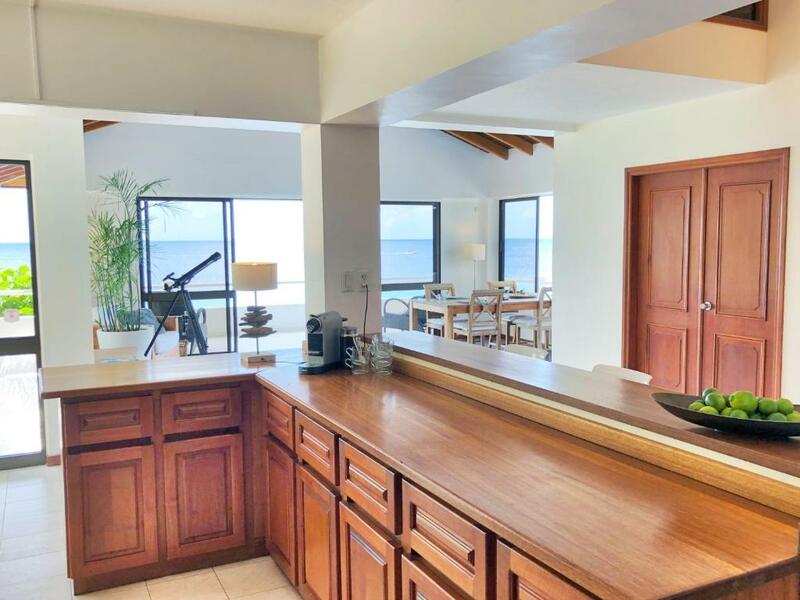 The common area with an open concept Do It Yourself kitchen is connected to the ocean front terrace with table seating areas and an outside barbecue. 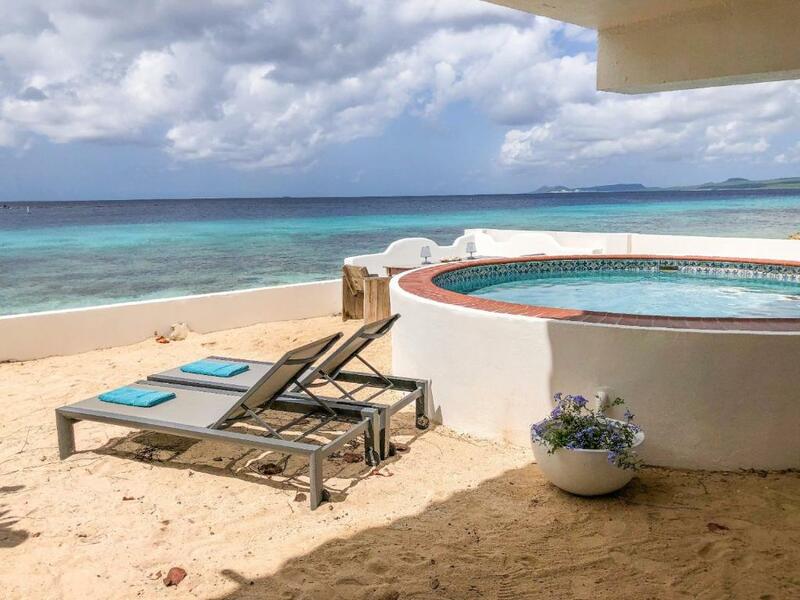 Diving, snorkeling and kayaking can be done from the accommodation beach garden One Ocean Boutique Apartments and Suites Bonaire. 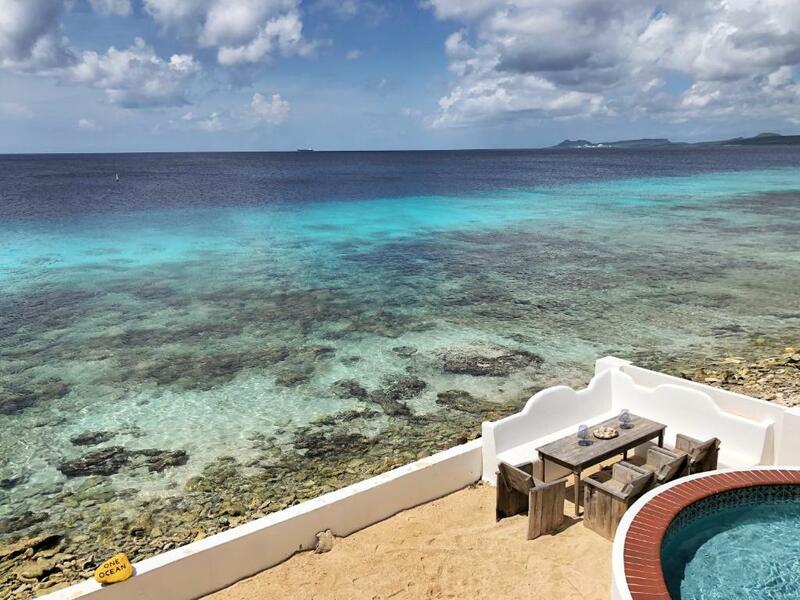 One Ocean Boutique Apartments & Suites Bonaire has been welcoming Booking.com guests since 29 Oct 2017. 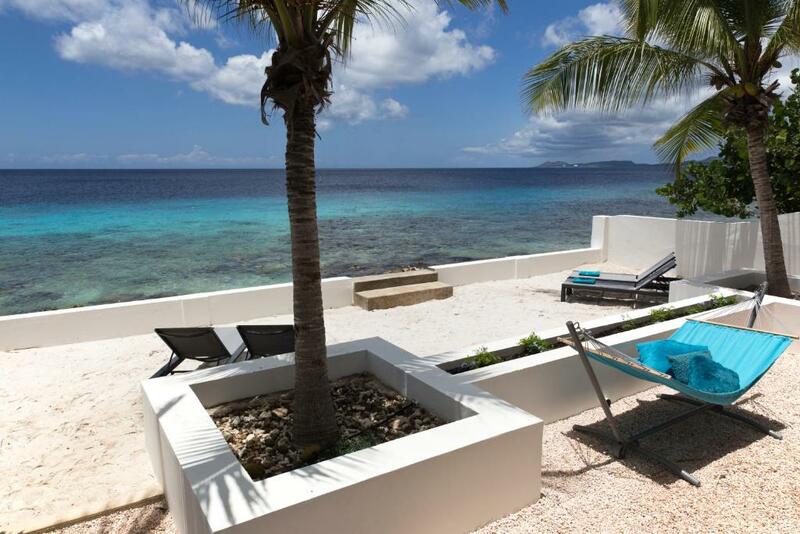 When would you like to stay at One Ocean Boutique Apartments & Suites Bonaire? This apartment has air conditioning, sea view, flat screen TV and a kitchen. This apartment features a dishwasher, kitchen and sea view. This apartment has a dishwasher, kitchen and sea view. This apartment features a sea view, kitchen and dishwasher. This double room features a private bathroom, Smart flat screen TV and air conditioning. The terrace ocean views from all levels of the 3-story buildings are spectacular. 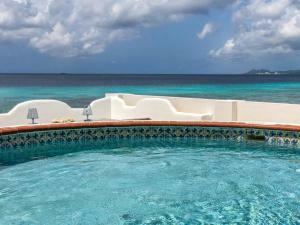 The easy access from our beach garden into the water makes swimming, diving and snorkeling a treat. We did our utmost to make sure you will feel at home and comfortable to enjoy your stay with us! Growing up on Bonaire, when moving here with her parents in the early 80’s, Vronie came back to life on her island after finishing her study’s. Working in Facility Management for more than 25 years she will be your guide and excellent service provider. Living on the island for several years Vronie’s husband Geert fell in love with this ‘Diver’s paradise’ in 2009. Next to his profession as an educationalist, Geert is an experienced diver and host, he knows the island nature like the back of his hand. 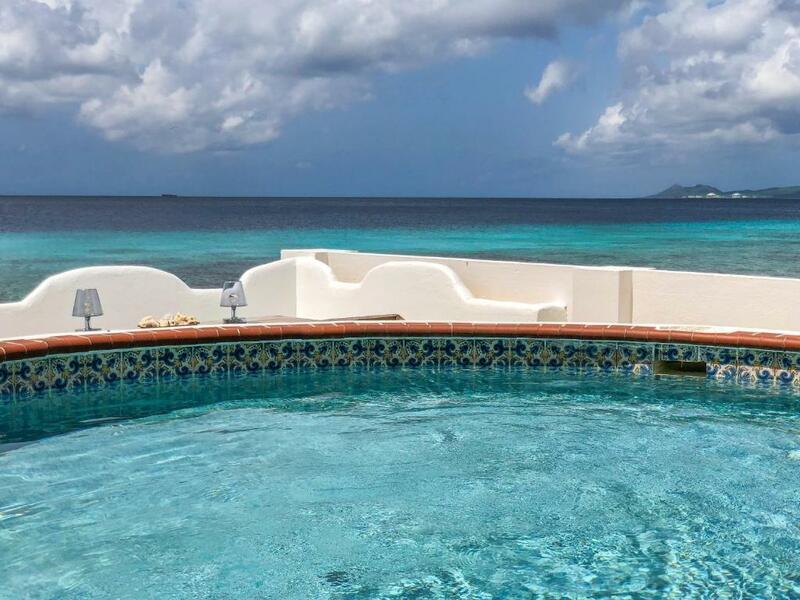 One Ocean Boutique Apartments & Suites Bonaire is situated in a quiet neighborhood with Bonaire’s famous dive and snorkel reefs right in its backyard. The airport and our small town with supermarkets, dive shops, restaurants and (beach)bars are within a 7-minute drive. 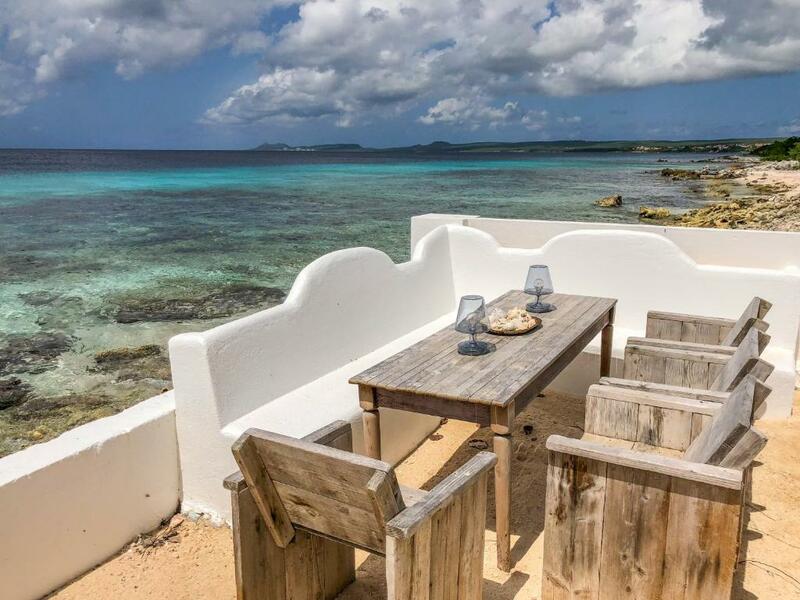 House rules One Ocean Boutique Apartments & Suites Bonaire takes special requests - add in the next step! One Ocean Boutique Apartments &amp; Suites Bonaire accepts these cards and reserves the right to temporarily hold an amount prior to arrival. One Ocean Boutique Apartments & Suites Bonaire accepts these cards and reserves the right to temporarily hold an amount prior to arrival. Please inform One Ocean Boutique Apartments & Suites Bonaire in advance of your expected arrival time. You can use the Special Requests box when booking, or contact the property directly with the contact details provided in your confirmation. Vronie and Geert were wonderful hosts and their Villa was just perfect. Our room was immaculate, and the villa itself had everything we needed. The kitchen was well equipped and spacious, which made making meals a breeze. Lots of private seating and dining areas, all with a great view. We enjoyed snorkeling right off the patio/beach area and we took the kayaks out to watch the sunset-much more fun and private than paying for a sunset boat trip. Throughout our stay, Vronie and Geert (as well as the other guests) were kind and helpful and they made this our favorite place to stay throughout our entire 9 days on Bonaire and Curacao. The only thing I might have change would be the brand of laundry soap. I always go for natural unscented brands so for me the room had a strong smell from the Linens but probably all they can obtain on the island. The house went out of their way to make us feel welcome and help us get situated. I feel they went above and beyond what I expected. We stayed at the beach villas which have an amazing view and easy access to the ocean. There is actually a great dive site right near the property. If you look on the Bonaire dive maps its it between #24 and #25 (Small Wall). We saw a huge Moray Eel scuba diving closer to #24. Vronie and Geert could not be more gracious or helpful. They made the entire stay so easy. There is a common kitchen that is fully stocked with everything you could need to cook. There are a max of 6 people (no kids) that can stay at a time and we barely saw each other. Best hosts ever! Very nice house, excellent location, friendly atmosphere. Really felt at home. We were greeted at the airport with a smile and a hug - it felt like we were visiting dear friends! Vronie’s and Geert’s genuine care for their guests and their attention to detail are really what makes this place stand out. We felt treated like VIP throughout our entire stay. Beautiful apartment with all the facilities you could want in an exquisite location, our only regret is that we didn’t stay longer. We will be counting down the days until we can return. We loved our stay there! The property was immaculate....everything was new! The Diving from the property was outstanding it is next to the small wall where at 18 meters there is a cave with a nurse shark sleeping. The coral reefs are as gorgeous as the Great Barrier Reef! It was very relaxing spot to go to after a day of diving and the Hosts Vronnie and Gert are very friendly and want to help out with anything you need! We’ll definitely be back there again! All u need to know ... one ocean is from now on our most favourite destination on the globe. Vronie and Geert are the best !!! Starting with the pick up at the airport and the first breakfast delivery service. First impression from our apartment was wow !!! Everything is new and in a perfect shape. The view from the house to the ocean is amazing 🐠🐋🦈😍. Vronie and Geert gave us the best tips and recommend VIP diving. Please follow this recommendation. I am Divemaster with more than 10 years experience diving around the globe. Trust me, Bonaire is the most wonderful place to dive and ... VIP diving has really brilliant and safe equipment! Try it out and enjoy 🐬 Over the week we loved the facilities directly at the apartment and our famous one ocean house reef. One minute under the water and you forget about everything else 🐬🦑😍. After diving you can take a fresh shower, have places to wash your equipment and use your personal equipment room before chilling and enjoying the sunset 🌅... amazing view. We felt coming home although we haven’t met Veonie and Geert before !!! Many thanks guys, we will come back and promote you wherever we can. Btw... we were scheduled on an Insel air flight which was postponed to the evening and Vronie and Geert assisted us with fresh towels, coffee and a late late late check out. You are the best!!! Not a matter of like, we LOVED everything about One Ocean Boutique!! Our hosts were friendly, professional and helpful. The property was amazing; clean, comfortable and perfect location. Super great!